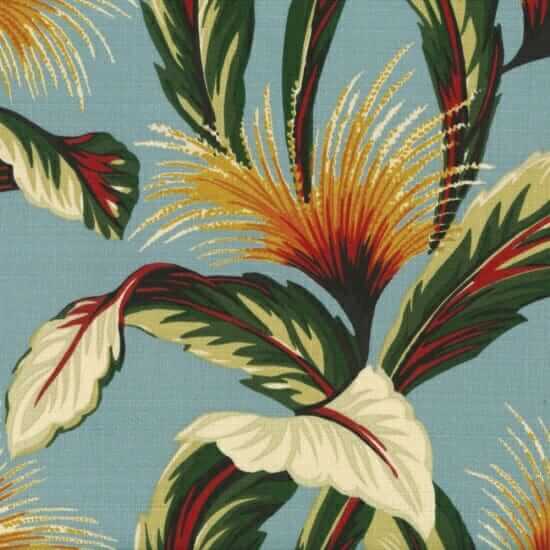 I found another source for retro barkcloth fabrics — eight tropical designs and three googie designs — from Hoffman California-International Fabrics. I don’t have cuttings, but these look promising. I’ve added them to my overview page: 6 places to find barkcloth today. These fabrics are screenprinted onto what the company calls barkcloth. So, I presume the fabric has the dobby/slubby texture we are looking for when we say “barkcloth”, although it’s hard to tell from the photos. Of course, get a sample first to check whether any fabric you are using for a project has the characteristics — weight, hand, durability [eg: rub test #] –you are looking for. Manufacturers also should have specifications for recommended applications. 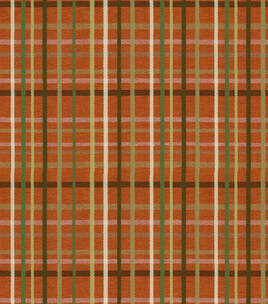 Hofmann California-International Fabrics is yet another longstanding American company approaching its 100th anniversary. It’s been in business in the same family since 1924! The company does both digital and screen printing. What I have been told by another executive in the industry is that digital printing can only be done on very smooth fabrics. 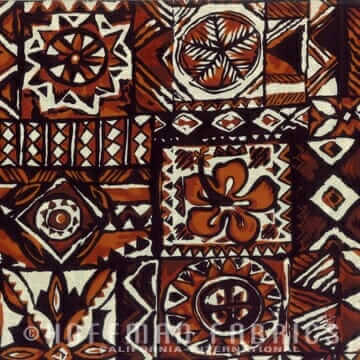 If the fabric has texture, screen printing is required for the ink to absorb properly. 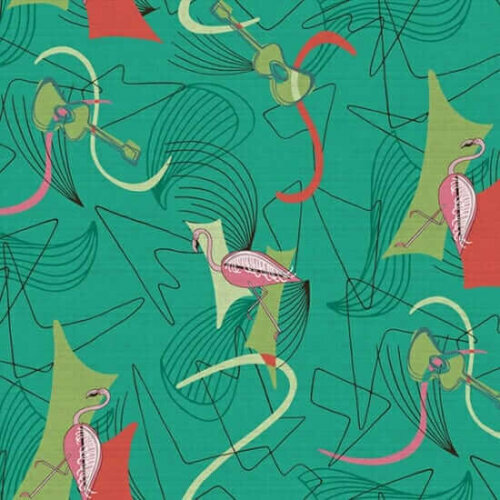 Above: Hoffman’s digitally-printed “A Little Retro Vibe” collection on 6 oz. canvas. I have a feeling some readers might like the lovely above – flamingos, ukeleles and googies — all on aqua! 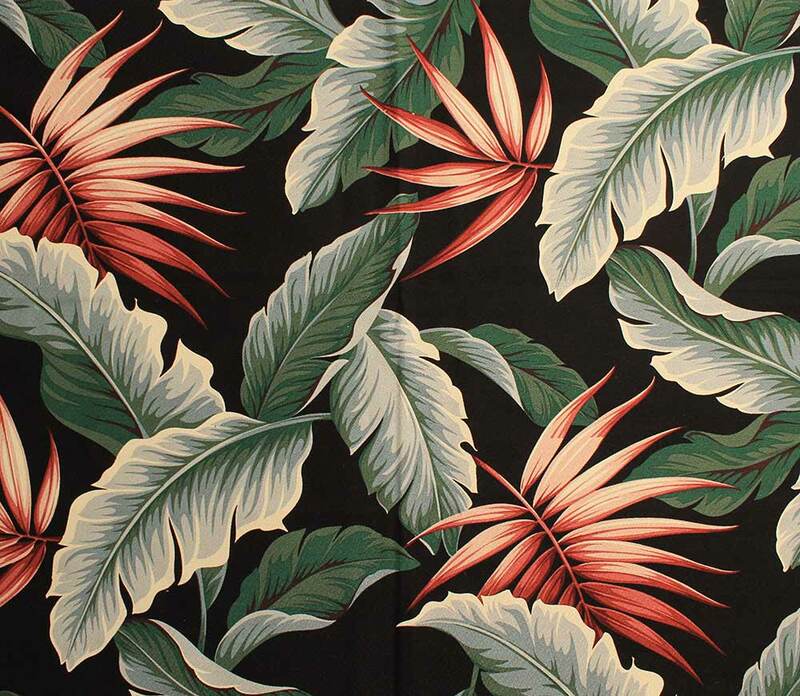 Hoffman has a long history doing tropical print fabric. You can see their current selection in their Open Line category, which features all screen-printed fabrics. 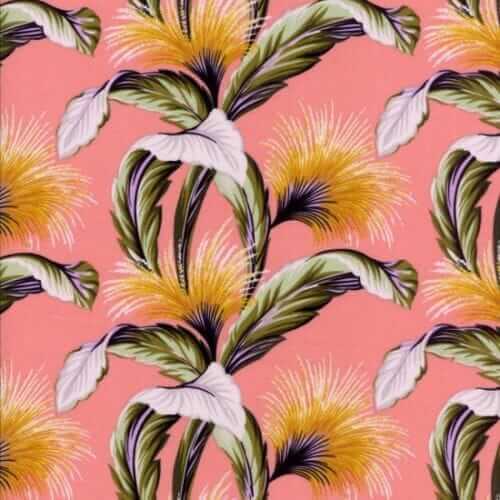 There, I found this very pretty tropical deco pink print. 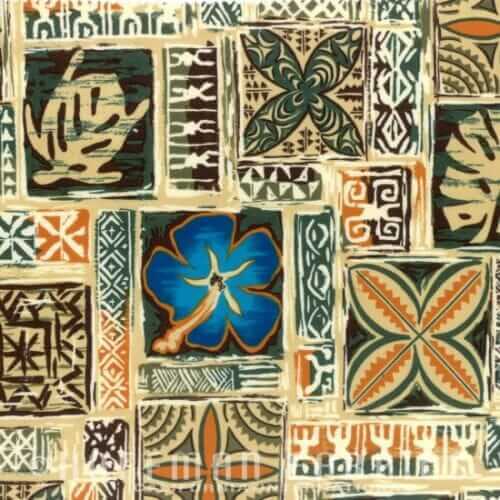 The print looks identical to the barkcloth print on aqua shown above. However, on the website, while it does say it’s a screenprint, it doesn’t indicate it’s nubbly enough to be called barkloth. Could be. Get a sample and see. Tikiphiles may want to take a look at their screenprinted cotton fabrics featuring tapa cloth inspired designs. Note, they are a manufacturer so you cannot buy direct from them. Here’s a directory of retailers that handle Hoffman California Fabrics. Wow! Love the three googie designs! The boomerrangs/googies are outstanding. I’m ordering swatches. 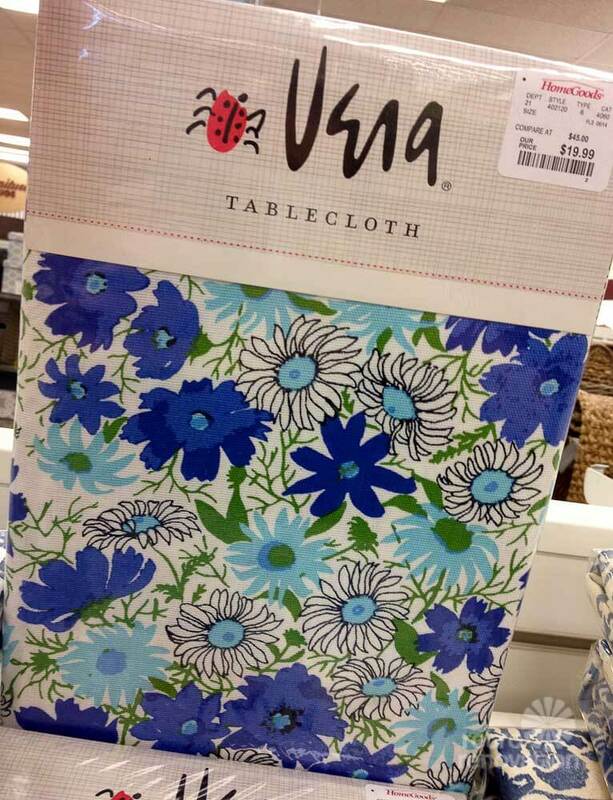 I’d like to make the precautionary point that if you like these fabrics, or any of the other new-retro goodies on the market that Pam finds for us , go ahead and BUY THEM, even if you don’t plan on making immediate use. Lots of cool things have come and gone in the last few years, and if you’re still in the planning/collecting/looking ahead phase of your retro-renovation, you may very well find when the time comes to buy and install, your dream-whatever has already been discontinued. I agree! Going into my 13th year now: I’ve seen ’em come — and I’ve seen ’em go. And I’ve heard a fair number of waaaaaaaaah’s from folks who “were planning” to buy the item but waiting till their remodel got closer. Uh oh, all I can say is, I hope these are still around in 5 years when I own a house, because I think Beachsand needs to be made into some stylish roman shades! I recovered my vintage dinette set in the turquoise flamingo fabric (it’s available in different colors) a couple years ago. It’s a gorgeous fabric with great texture and it looks and feels like vintage barkcloth.